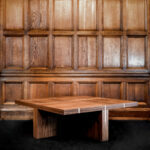 If you are looking for something special this is the table for you. 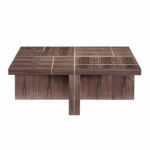 This modern piece with its architecturally inspired lines is all covered in a smooth walnut veneer. 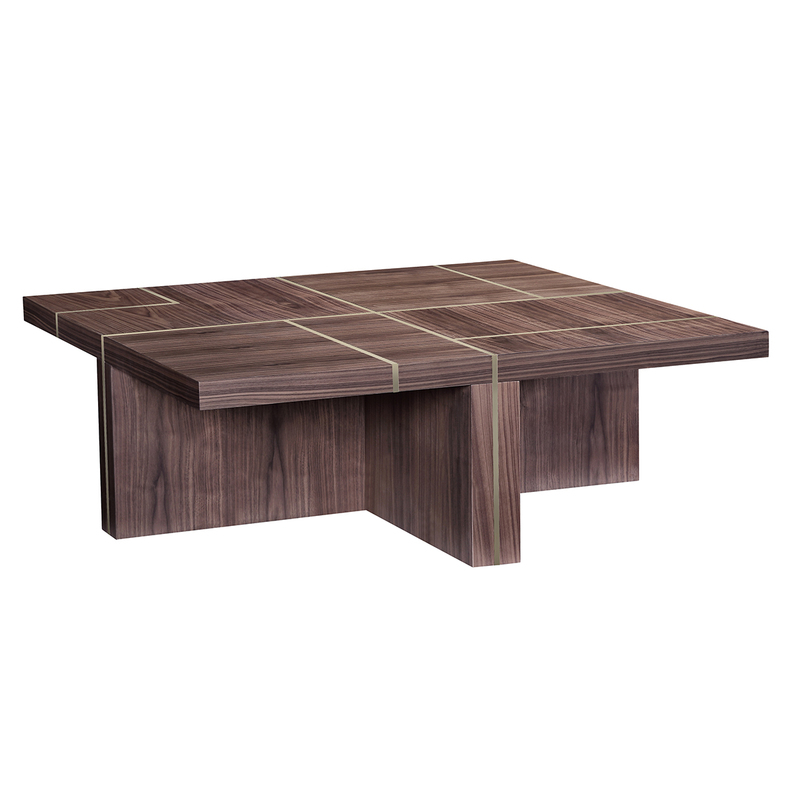 The lush brass inlays in an irregular pattern and makes this table forward in fashion and a true masterpiece. If you want a complete look you should style your living room with the walnut cabinet or sideboard from the same Mercer collection. 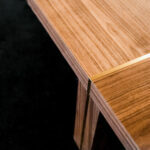 Mdf covered in walnut veneer, metal inlays with a brass finish.